Want to learn the Secrets of Playing Spanish Style Guitar? One of our Guitar Pro artists, Edina Balczo just released her very first guitar teaching book on KickStarter: Spanish Guitar Strumming Techniques. She notated all the lessons with the Guitar Pro software, and the TABs will be available in PDF, in printed format, or in Guitar Pro files. To celebrate this release, she shares her lesson 7 with you. Rumba is a type of flamenco. This style is derived from the influence of Afro-Cuban rumba that was brought from Cuba to Spain in the 19th century. One of the differences is that the main instruments are guitars instead of congas. It is also written as “rhumba” and many people confuse the two spellings. It is played in 4/4 time, unlike most other flamenco forms, which are in sequences of twelve beats. This is probably one of the reasons the rumba is so popular, as audiences are able to easily relate to the familiar 4/4 rhythm. If the hit is closer to the sound hole it produces a deeper sound. If the hit is closer to the bridge it produces a harsher or higher sound. Varying or alternating the hits at these two locations produces a richer and more diverse accompaniment. Expanding on this technique, the guitar itself can be made to sound like a percussion instrument. Every part of the neck and the soundboard sounds a little bit different when struck, so striking at different places can result in a very rich and rhythmical sound. • It is very important to be relaxed with the wrist and to warm it up before playing. Otherwise, it is difficult to go fast. • Always practice very slowly at first, until you are confident with the movements, and then you can speed it up. Never speed up before you perfect the exact sequence of the movements. • Try to play along with your favorite songs using this strumming technique instead of other strumming techniques you might be using. You will see how much fun it is to make famous songs into rumbas! Very good lesson How much will the Book cost in USA dollars? 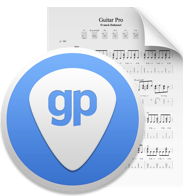 have you any promo code for Guitar Pro update ? You need Guitar Pro to read the file. Tengo el programa de Guitar Pro 7 y quisiera saber como se ponen 2 Acordes en un compas de redonda en una partitura de 4 x 4.